This was a bike brought in by a customer this week looking for an electric conversion. 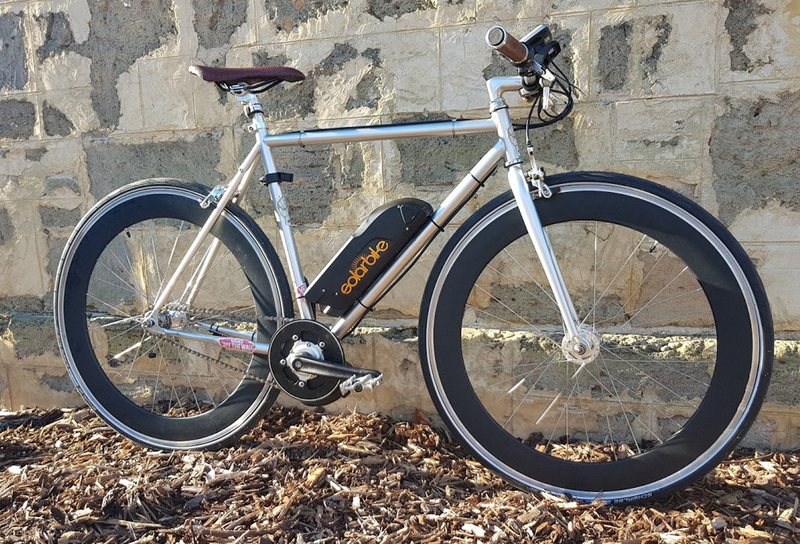 Being a single speed, we decided that the street legal Solar Bike mid-drive conversion kit was the best option to keep a nice balance between motor power and riding speed with the single rear gear. Also, due to the original bike having nice deep rims it would be a shame to change one to a regular look with a hub motor. The battery in the frame is a Panasonic 36V 14Ah model so should have a great riding range in excess of 50-60km on a single charge. It is a beauty to ride too, it all came together so easily and really feels lovely to cruise around on.